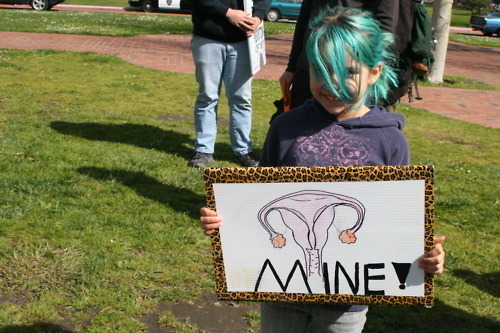 Girl with Reproductive Rights Sign. A young girl holds a reproductive rights protest sign.. Wallpaper and background images in the Feminism club tagged: feminist feminism girl protest. This Feminism photo might contain 소매 없는 느슨한 상의 and 휘장.